Make your legs the center of attention by wearing a mini plaid skirt. 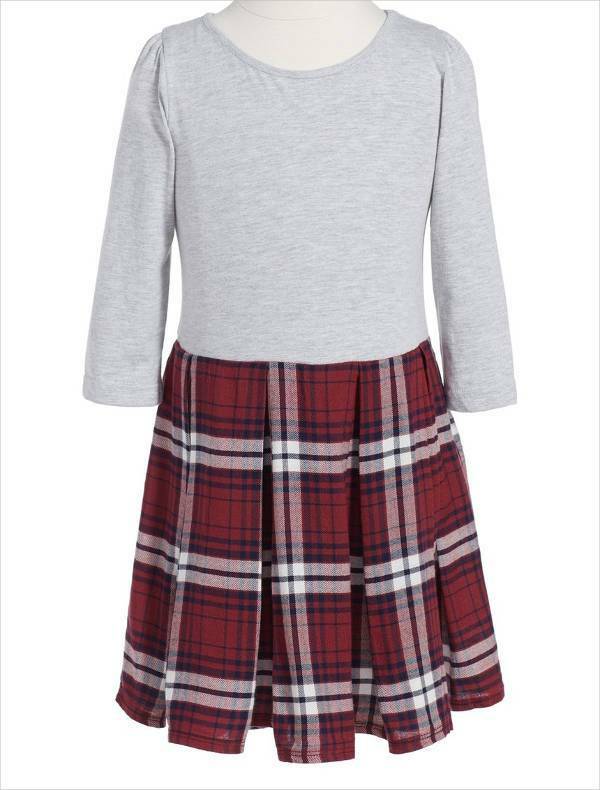 For a school girl look, pair with black knee high socks and lace boots. For an elegant image, pair with brown suede knee length boots and a white button down shirt. Plaid pencil skirts have a fun yet elegant look that makes them a must have for any working lady. When you wear this skirt with simple black or white top and high heels, you will look fashion forward. Add a half coat to break the clingy design of the bottom. Red plaid skirts are so versatile that you can mix and match with a neutral or colored top. To ensure the skirt is the main focus then pair with a simple neutral top. To break the vibrant color and to look classy add a black leather jacket. If you want an outfit that will flatter any body shape, then opt for designer plaid maxi skirts. The long skirt length will ensure you look proper when attending any casual event. Ladies who are short should wear this skirt with a hemline at the knees to avoid looking shorter. 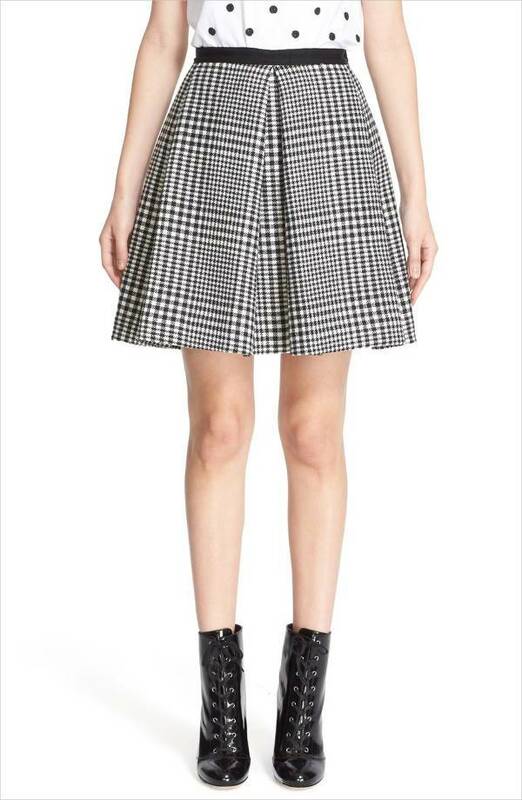 Plaid pleated skirts have a school vibe that makes them fun to wear. They can help showcase your flirty side when you pair with a crop top and add a backpack. These skirts look stunning with combat boots or platform heels. During winter go for a neutral cozy cardigan to enhance the look of your skirt. 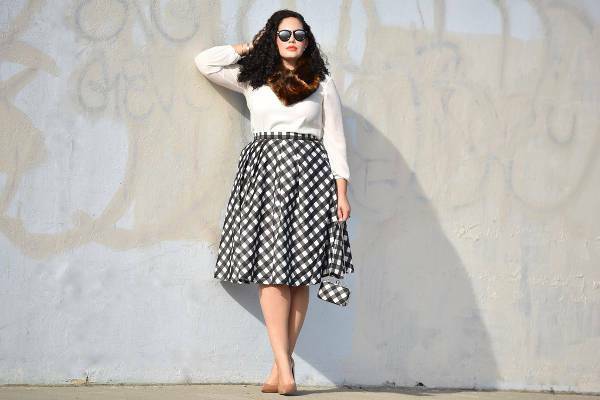 Bring the 1900s fashion style to life by wearing a short plaid skirt. For a casual chic look wear with sneakers or cute ballet shoes and tuck in your top. You can even wear ankle boots and let your vibrant socks peep out. If you want to wear a skirt that makes you feel more feminine, then go for the asymmetric plaid skirt. They are comfortable and can help accentuate your curves. During winter wear this skirt with a warm sweater and opaque leggings. Plaid skater skirts have a flowy nature that will flatter any body shape. For a feminine look wear with a loose tank top, add a flower crown and gold bangles. Wearing a leather crop top and choker will make you look modern. 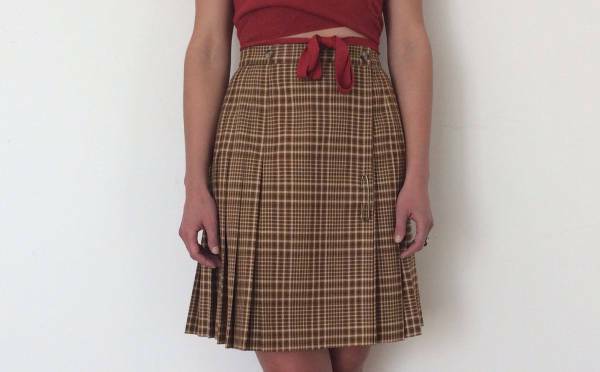 Vintage plaid skirts are unique, stylish and will showcase your love for past fashion style. During fall, layer this bottom with a warm sweater knit scarf and ankle boots. A chambray shirt tucked into your plaid skirt will create a cool look. 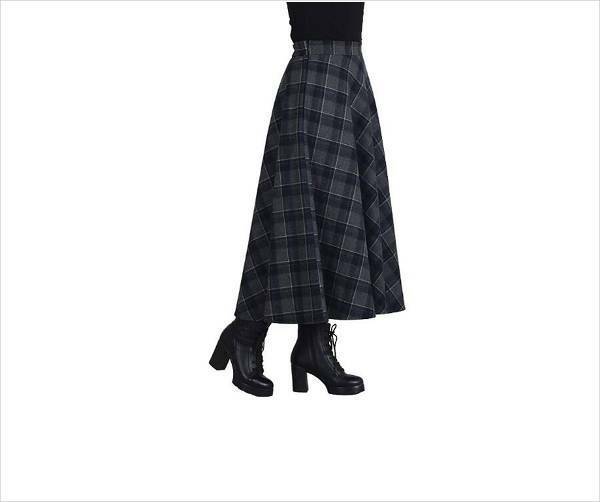 Plaid Wrap skirts are ideal for girls who want to show off their curvy body. The wrap around design of this skirt can easily show body flaws so a long flowy top can help camouflage a big tummy. Pair light colors plaid skirt with pantyhose. Tweed plaid skirts are the ideal wear for fall or winter and can make you look conservative. For a casual chic look, pair with a chunky sweater and sneakers or loafers. For a classy look wear with black pumps. A sweatshirt tucked in will definitely give you a sporty look. Flaunt your curves by wearing a plaid bodycon skirt. They are super comfy especially those with a back slit. To add definition to your waist then wear with a long slim top and add a skinny belt. You can even add a denim top for a fun look. Kid’s plaid skirts appeal to those in high school, college or any learning institution. They serve different age groups and look attractive with long socks, cardigans, and canvas shoes or boots. To add contrast, wear a maxi sweater. Preppy plaid skirts look amazing with tennis sneakers flat oxfords, or loafers with knee high socks. Pair with a graphic t-shirt or a simple lace top. When the hemline is above the knees, add leggings and complement with a crop top turtleneck. Wearing a plaid skirt can speak volumes about your fashion style especially if you are an adult. It comes in different patterns so you can choose from bold red and black mini designs to maxi skirts. Wearing boots gives this skirt a casual image while adding heels will make it look elegant.